Student organizations that support students from all backgrounds flourish within the division of Physical Sciences. Click here for a list of these groups. In 2017, the workshop was organized and facilitated by Dr. Anna Yeakley, Director of UCLA’s Intergroup Relations (IGR) Program­. More than 40 faculty and staff leaders from both Life and Physical Sciences were joined by Dean Sork and Dean García-Garibay and participated in learning exercises to improve the teaching and mentoring of a diverse student body in the sciences. The Physical Sciences Diversity Committee, which meets quarterly, is charged with overseeing efforts to increase faculty, staff, and student diversity in the Physical Sciences division. The committee also works to develop inclusive methods of instruction and to ensure that all members of the division are treated equitably. It is chaired by Albert Courey, Associate Dean of Physical Sciences for Diversity, Equity, and Inclusion. Welcome to the UCLA Physical Sciences website. Here, you will discover one of the most diverse, productive and creative group of scientists who are asking the most interesting questions about the great mysteries of our time. We look for answers to satisfy human curiosity that range from pure and applied mathematics, to the knowledge that helps improve the quality of our lives and gives an edge to our economy. We are the pioneers, the explorers, the doers. We ask, "What if?" Come join the curious. 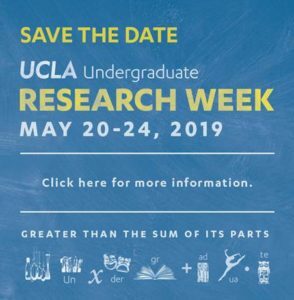 UCLA Undergraduate Research Week consists of over 1,000 students presenting their research and creative work in Pauley Pavilion, Powell Library, the Luskin Conference Center, and many other venues throughout the week, all open to anyone to attend. For more information, click here. 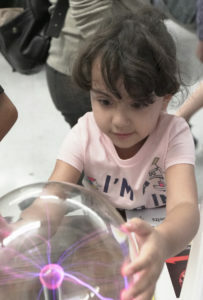 Our free day of hands-on science fun and learning for the whole family will help celebrate UCLA’s centennial in 2019. We are excited to welcome more visitors than ever to the beautiful UCLA campus for this major celebration. Details about the event's activities, speakers, and schedule will be posted throughout the year at exploringyouruniverse.org. Please consider making a donation to empower the students and faculty within Physical Sciences.